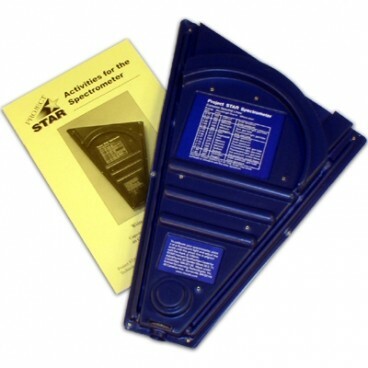 Produktinformationen "ScienceFirst Spectrometer, Project Star"
Explore flame spectra, streetlights and solar spectra with this dependable device. Since it is labeled in electron volts and nanometers, you can use it in both your physics and chemistry labs. It is plastic and contains a built-in chart of common spectral lines. 31 x 18 cm long. With instructions. Weiterführende Links zu "ScienceFirst Spectrometer, Project Star"
Garantie(Jahre) "ScienceFirst Spectrometer, Project Star"
Weitere Info "ScienceFirst Spectrometer, Project Star"
Kundenbewertungen für "ScienceFirst Spectrometer, Project Star"